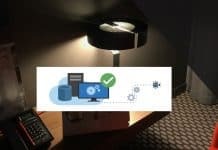 This is my second (2nd) post on SCCM education series of posts. 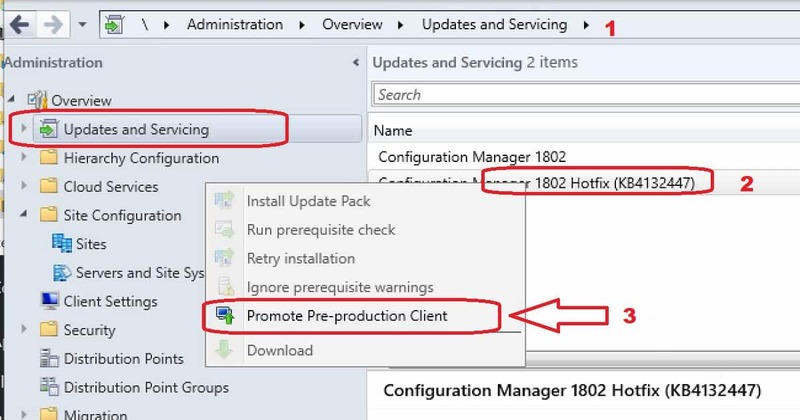 Recently I received a couple of queries about the Promote Pre-Production Client on my SCCM 1802 upgrade post. This post is the reply to those queries and doubts about the promotion of pre-production SCCM client. You will learn how about SCCM Client Upgrade in this post. First of all, I would recommend you to use the option to test client upgrades in a pre-production collection. This is the best option to select during every SCCM CB updates or upgrades. Why Use Test Client Upgrade in Pre-Production Collection? Is Promote Pre-Production Client Upgrade to Production Applicable? How to Promote Pre-Production Client Upgrade? How to Verify promote Pre-Production client? 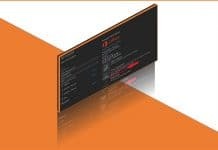 How to Upgrade SCCM client? In SCCM CB version, you have an option to test the new client version with test devices. You can test the new SCCM client on few devices using pre-production collection option. When you do this, only devices that are part of the test collection are upgraded. 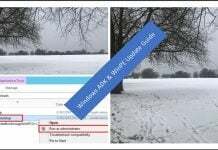 This helps you to test the client issues before upgrading the rest of the SCCM client device in your environment. Upgrade without Validating:- Upgrade your clients immediately to the latest version (which I don’t recommend). 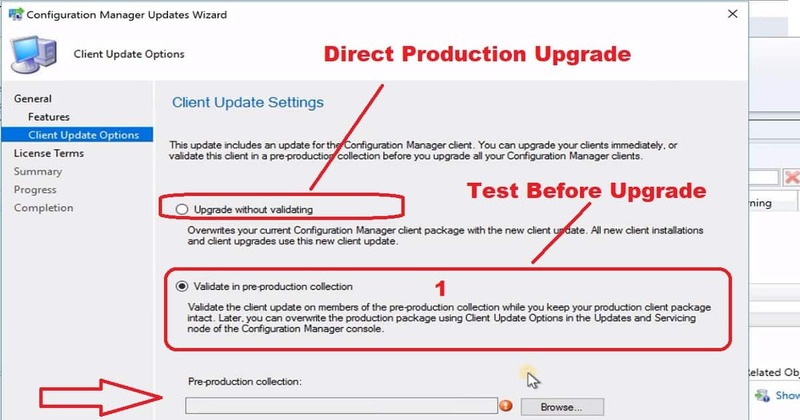 Validate in Pre-Production Collection :- Select to validated this client in pre-prod collection option from the wizard (SCCM update wizard – client update options page). This will help you test the client upgrade on selected devices before you can upgrade all your SCCM clients to the latest version. (This is the Recommended option). 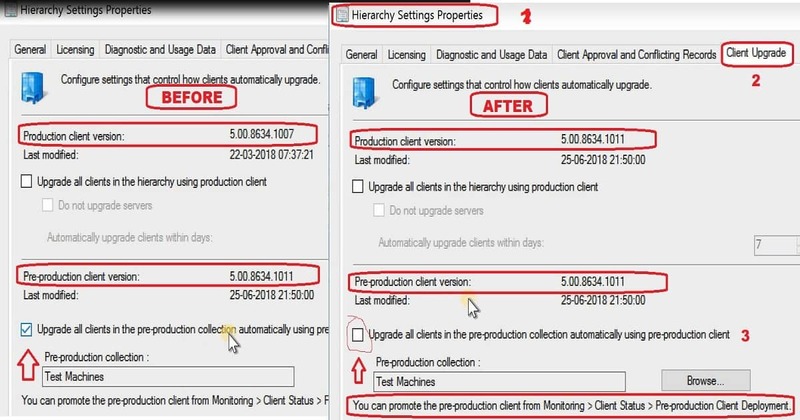 Once you select the second (2nd) option, you can install and validate the SCCM client upgrade on members of the pre-production device collection. This won’t impact your production client package. You have an option to overwrite the production package using client update options in the updates and servicing node of the SCCM console. You can perform this action when you complete the testing of pre production client upgrade. This action is known as Promote Pre-Production Client Upgrade. You can promote Pre-Production client from SCCM console Updates and Servicing node. For example, You want upgrade the SCCM pre-production client of 1802. You can verify the promote Pre-Production client upgrade results from two (2) places. You can either verify this from monitoring node or from Site Configuration node. Also, this can be verified from SCCM client Package properties. 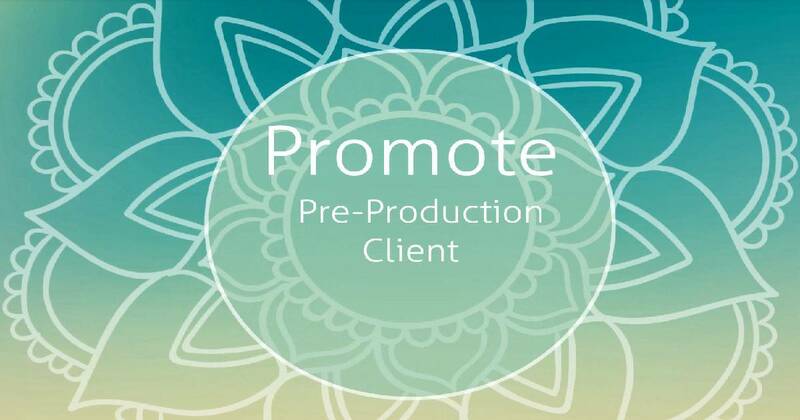 In the following section, I will explain how to verify the promote pre-production client action worked as expected. I have a post about client upgrade process options. I would recommend reading that post to know more about SCCM client upgrade options.